Did the bits return by way of a Chinese model factory? Herewith a cut and paste media extract. WASHINGTON (AP) — Those who planned the secret mission to get Osama bin Laden in Pakistan knew it was a one-shot deal, and it nearly went terribly wrong. The U.S. deliberately hid the operation from Pakistan, and predicted that national outrage over the breach of Pakistani sovereignty would make it impossible to try again if the raid on bin Laden's suspected redoubt came up dry. Once the raiders reached their target, things started to go awry almost immediately, officials briefed on the operation said. Adding exclusive new details to the account of the assault on bin Laden's hideout, officials described just how the SEAL raiders loudly ditched a foundering helicopter right outside bin Laden's door, ruining the plan for a surprise assault. That forced them to abandon plans to run a squeeze play on bin Laden — simultaneously entering the house stealthily from the roof and the ground floor. Instead, they busted into the ground floor and began a floor-by-floor storming of the house, working up to the top level where they had assumed bin Laden — if he was in the house — would be. The raiders came face-to-face with bin Laden in a hallway outside his bedroom, and three of the Americans stormed in after him, U.S. officials briefed on the operation told The Associated Press. The officials spoke on condition of anonymity to describe a classified operation. U.S. officials believe Pakistani intelligence continues to support militants who attack U.S. troops in Afghanistan, and actively undermine U.S. intelligence operations to go after al-Qaida inside Pakistan. The level of distrust is such that keeping Pakistan in the dark was a major factor in planning the raid, and led to using the high-tech but sometimes unpredictable helicopter technology that nearly unhinged the mission. Pakistan's government has since condemned the action, and threatened to open fire if U.S. forces enter again. On Monday, the two partners attempted to patch up relations, agreeing to pursue high-value targets jointly. The decision to launch on that particular moonless night in May came largely because too many American officials had been briefed on the plan. U.S. officials feared if it leaked to the press, bin Laden would disappear for another decade. U.S. special operations forces have made approximately four forays into Pakistani territory since the Sept. 11, 2001, attacks, though this one, some 90 miles inside Pakistan, was unlike any other, the officials say. The job was given to a SEAL Team 6 unit, just back from Afghanistan, one official said. This elite branch of SEALs had been hunting bin Laden in eastern Afghanistan since 2001. Five aircraft flew from Jalalabad, Afghanistan, with three school-bus-size Chinook helicopters landing in a deserted area roughly two-thirds of the way to bin Laden's compound in the Pakistani city of Abbottabad, two of the officials explained. Aboard two Black Hawk helicopters were 23 SEALs, an interpreter and a tracking dog named Cairo. Nineteen SEALs would enter the compound, and three of them would find bin Laden, one official said, providing the exact numbers for the first time. Aboard the Chinooks were two dozen more SEALs, as backup. The Black Hawks were specially engineered to muffle the tail rotor and engine sound, two officials said. The added weight of the stealth technology meant cargo was calculated to the ounce, with weather factored in. The night of the mission, it was hotter than expected. The Black Hawks were to drop the SEALs and depart in less than two minutes, in hopes locals would assume they were Pakistani aircraft visiting the nearby military academy. One Black Hawk was to hover above the compound, with SEALs sliding down ropes into the open courtyard. The second was to hover above the roof to drop SEALs there, then land more SEALs outside — plus an interpreter and the dog, who would track anyone who tried to escape and to alert SEALs to any approaching Pakistani security forces. If troops appeared, the plan was to hunker down in the compound, avoiding armed confrontation with the Pakistanis while officials in Washington negotiated their passage out. The two SEAL teams inside would work toward each other, in a simultaneous attack from above and below, their weapons silenced, guaranteeing surprise, one of the officials said. They would have stormed the building in a matter of minutes, as they'd done time and again in two training models of the compound. The plan unraveled as the first helicopter tried to hover over the compound. The Black Hawk skittered around uncontrollably in the heat-thinned air, forcing the pilot to land. As he did, the tail and rotor got caught on one of the compound's 12-foot walls. The pilot quickly buried the aircraft's nose in the dirt to keep it from tipping over, and the SEALs clambered out into an outer courtyard. The other aircraft did not even attempt hovering, landing its SEALs outside the compound. Now, the raiders were outside, and they'd lost the element of surprise. They had trained for this, and started blowing their way in with explosives, through walls and doors, working their way up the three-level house from the bottom. They had to blow their way through barriers at each stair landing, firing back, as one of the men in the house fired at them. They shot three men as well as one woman, whom U.S. officials have said lunged at the SEALs. Small knots of children were on every level, including the balcony of bin Laden's room. As three of the SEALs reached the top of the steps on the third floor, they saw bin Laden standing at the end of the hall. The Americans recognized him instantly, the officials said. Bin Laden also saw them, dimly outlined in the dark house, and ducked into his room. The three SEALs assumed he was going for a weapon, and one by one they rushed after him through the door, one official described. Two women were in front of bin Laden, yelling and trying to protect him, two officials said. The first SEAL grabbed the two women and shoved them away, fearing they might be wearing suicide bomb vests, they said. The SEAL behind him opened fire at bin Laden, putting one bullet in his chest, and one in his head. Back at the White House Situation Room, word was relayed that bin Laden had been found, signaled by the code word "Geronimo." That was not bin Laden's code name, but rather a representation of the letter "G." Each step of the mission was labeled alphabetically, and "Geronimo" meant that the raiders had reached step "G," the killing or capture of bin Laden, two officials said. As the SEALs began photographing the body for identification, the raiders found an AK-47 rifle and a Russian-made Makarov pistol on a shelf by the door they'd just run through. Bin Laden hadn't touched them. They were among a handful of weapons that were removed to be inventoried. It took approximately 15 minutes to reach bin Laden, one official said. The next 23 or so were spent blowing up the broken chopper, after rounding up nine women and 18 children to get them out of range of the blast. One of the waiting Chinooks flew in to pick up bin Laden's body, the raiders from the broken aircraft and the weapons, documents and other materials seized at the site. When the SEAL team met President Barack Obama, he did not ask who shot bin Laden. He simply thanked each member of the team, two officials said. In a few weeks, the team that killed bin Laden will go back to training, and in a couple months, back to work overseas. .S. Senator John Kerry announced that Pakistan has agreed to return the tail of a stealth U.S. Black Hawk helicopter that American commandos had to destroy and leave behind in the raid that killed Osama bin Laden. This was during the senator’s meeting with Pakistani officials. Pakistani officials had expressed their interest on studying the remains of the U.S.’s secret stealth-modified Black Hawk helicopter abandoned during the Navy SEAL raid of Osama bin Laden’s compound, and suggested the Chinese are as well. The U.S. has already asked the Pakistanis for the UH-60 helicopter wreckage back, but one Pakistani official told ABC News the Chinese were also “very interested” in seeing the remains. 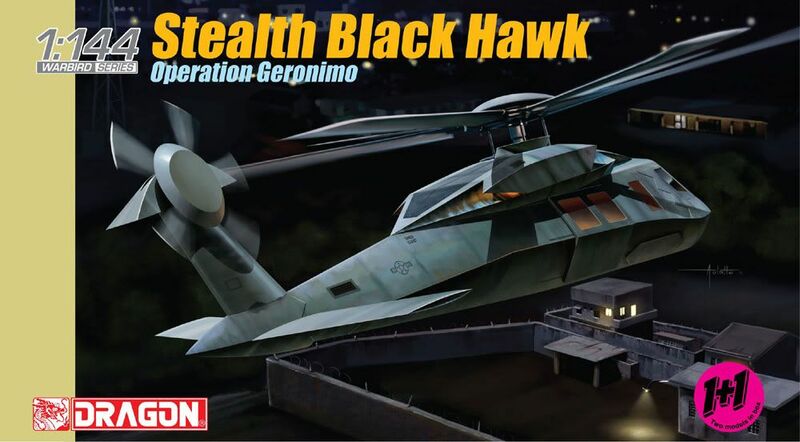 One of the Black Hawks flown by an elite Army unit called Task Force 160 – which carried the Navy SEAL commandos – lost lift and was forced into a hard landing at Osama bin Laden’s compound in Abbotabad. The pilot nudged the UH-60 Black Hawk forward into a controlled crash – saving the mission from disaster, but sheering off the helicopter’s tail section, CBS News national security correspondent David Martin reported. Bill Sweetman, Editor in Chief for Defense Technology for Aviation Week, told “The Early Show” that some unusual features were spotted in the wreckage, including special materials covering the tail rotor hub to reduce the helicopter’s radar signature, and extra rotor blades to make it quieter. “At a range of a couple hundred feet even, if you’ve got a bit of urban background noise, you’re not going to hear it,” said Sweetman. I can't say I'm convinced that the tail left behind was from some heavily modified Blackhawk variant. If it was it seems to be so heavily modified one wonders how it would be asimilated onto the existing airframe. I haven't even attempted to scale it but it also looks much larger than anything from a Blackhawk. Google Image's your friend - Silent Hawk. Hmm. I'm not sure I'm ready to don a tin foil hat just yet but I'm afraid the fact someone has cobbled together what is, admittedly a very nice and plausible picture, isn't proof of this strange hybrid to me. In many ways I find myself reaching the same conclusions - however one of the pictures does show that the main rotor head appears identical to that of a blackhawk, which suggests it is likely to be a similar weight of helo. extra rotor blades to make it quieter. You don't believe that the US would develop aircraft in secret and manage to keep it secret for such a long time. Please enlighten me of your reasons for your doubt of the aircraft's existence and what type helicopter the wreckage came from, otherwise my tin foil hat is staying firmly in place. Real? The clue is in the name, and you can eliminate 'Hawk'. You seem to have entirely the wrong end of the stick. I don't doubt the helicopter was there. After all the evidence is there to see. I don't think the US would be desperate to have a UH60 recovered either. I simply don't see any evidence other than a few speculative drawings, that the aircraft in question was anything from the Blackhawk family, heavily modified or otherwise. There was an article in Aviation Leak or Fright at the time that suggested the 'Stealth hawk' was not classified, as it used existing techologies, but the SO people had just kept it carefully hidden. 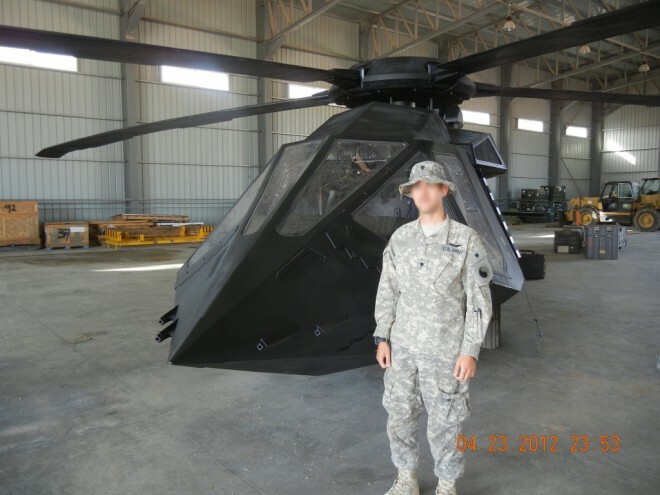 Is This a Super-Secret Stealth Helicopter … Or a Hollywood Fake? Last edited by Stuff; 14th Aug 2012 at 09:37. I recall a Shephard Press Defence Helicopter article published in early 2000, inbterviewing 160th SOAR. There was a large paragraph stating that the Nightstalkers do all any mods all in house. Maybe one could park it in the open on the flightline amongst other MH-60K/M and I'm guessing the average allied air/ ground crews couldnt even walk near a restricted area so all they would see is a ramp full of H-60. Last edited by chopper2004; 31st Aug 2012 at 18:56. Bit of coincidence here - I read this thread last week, thought nothing more about it and then last night, as I was climbing into bed, what should fly over the house but a pair of very strange sounding helis. I'm out in the sticks just to the north of Grafham Water and get regular overflights of Chinooks, Pumas, Merlins MH53s etc, so am used to the sound of rotors. I missed the first one but was hanging out of the window as the second one came from behind the house and saw it fly away to the south west in the direction of Kimbolton. It was dark so only saw a single red strobe but what struck me as odd was the sound. It was quiet, very quiet by helicopter standards and it was not your normal 'chop chop' sound but more of a whooshing, like a fan. The thing was somewhere around 500 ft I would say and it was going at a fair rate of knots - disappeared from view and out of earshot in a very short time.